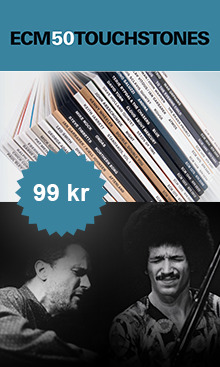 På det franska skivmärket Le Chant du Monde finner man flera spännande jazz- och world music-utgåvor, bl a en CD med tangomästaren Astor Piazzolla (2741328) och en svängig platta med slagverkaren Guem (2741266). The oldest French record label was born just before World War II, but has never veered from its reputation as a “survivor” of the best kind. For nearly 25 years, it has been closely associated with harmonia mundi, another fiercely independent record producer on the French scene. Le Chant du Monde is still asserting its difference by producing recordings of systematically high artistic quality in several domains – jazz, French and international song, traditional music and music for children. Historically speaking, then, it would be correct to call Le Chant du Monde a real music publisher and record producer. Today, its activity consists not only of launching new projects and signing new names, but also managing the house artists, and keeping the back catalogue of fifty years’ worth of recordings alive and well, all of which makes Le Chant du Monde an important name on the current record production scene. Its present organisation makes for an annual production of around thirty titles, in other words, an average of six records in each area. Recognized as an expert in the field with a substantial address book to match, Le Chant du Monde produces jazz records of major importance. 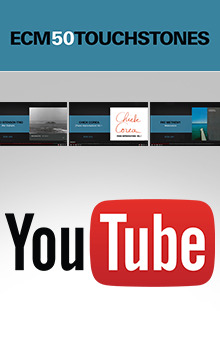 Certain artists such as Bernard Lubat, Michel Graillier, Patrice Caratini, Jean-Luc Ponty, are “veterans” of the label, whilst others such as Elise Caron, Yves Rousseau, André Minvielle, David Linx, Rita Marcotulli, Frédéric Monino, Jean-Marie Machado, and Jean-Marc Padovani from the younger generation are already confirmed artists; but the label now boasts some of the most promising young talents from today’s scene too – Claudia Solal, Eric Séva, Ludovic Beier, Régis Huby, not forgetting the very best Manouche jazz artists alive today – Tchavolo Schmitt, Angelo Debarre, Mandino Reinhardt, Raphaël Fays, Dorado & Samson Schmitt and Florin Niculescu. This genre has not always been looked upon as something exotic to be included in with folk music. Le Chant du Monde has already proved that language barriers are not necessarily an insurmountable obstacle when it comes to establishing a foreign singer’s reputation. What matters is that he or she express himself tastefully and convincingly, so that his sense of poetry and natural talent will be obvious to any listener. Boulat Okoudjava, Vladimir Vissotski and Atahualpa Yupanqui still feature in the catalogue. No record company would look at Paolo Conte at first, but thanks to the support and reputation of Le Chant du Monde, he became the huge success we all know. Today signing up artists such as Gianmaria Testa, Antonio Placer and John Greaves makes it more than clear that an international version of chanson rising well above national boundaries and Anglo-Saxon imperialism does indeed exist. In the past Le Chant du Monde has known two different approaches in this domain, first that of ‘folk’, considered old-fashioned nowadays, and secondly, the ethno-musicological approach often synonymous with a certain form of elitism. There are currently two new approaches to this genre. The first one is traditionalist in that it covers both ‘classical’ and popular music, and concerns music from the Near and Middle East (with the exception of Rai), the Indian sub-continent and the Asian world in general. This type of music has changed and been revived over the years, and the fact that it is played on the spot virtually excludes any possibility of stardom in the West for its musicians. The second one, world music, is deliberately aimed at the general public, and could even be called a mass-market product. It concerns mainly Africa, the West Indies, Central and South America, and certain areas of Central Europe. The artists who play this type of music have made up their minds to travel in the name of their art, even to become stars. Their approach – and their music – is often close to that of a pop artist, with all the demands of marketing this implies. World music, with its unlikely encounters, crafty formulae and a few unexpected couplings occasionally worthy of interest, is a kind of global holdall for anything and everything where Le Chant du Monde definitely has no place. Instead, it is firmly grounded at the opposite end of the spectrum in the so-called ‘traditionalist’ trend. This is an area where Le Chant du Monde’s attitude is closer to that of a book publisher than a record producer. With fifty years of experience behind it, including such key productions in the children’s repertoire as Prokofiev’s Peter and the Wolf with Gérard Philipe, the Kipling series and The Carnival of Animals, Le Chant du Monde has also produced musical tales totally in keeping with the imagination of today’s youngsters, e.g. Tinouga, Pantin Pantine with Allain Leprest/Romain Didier/Jean-Louis Trintignant, to name only a few.